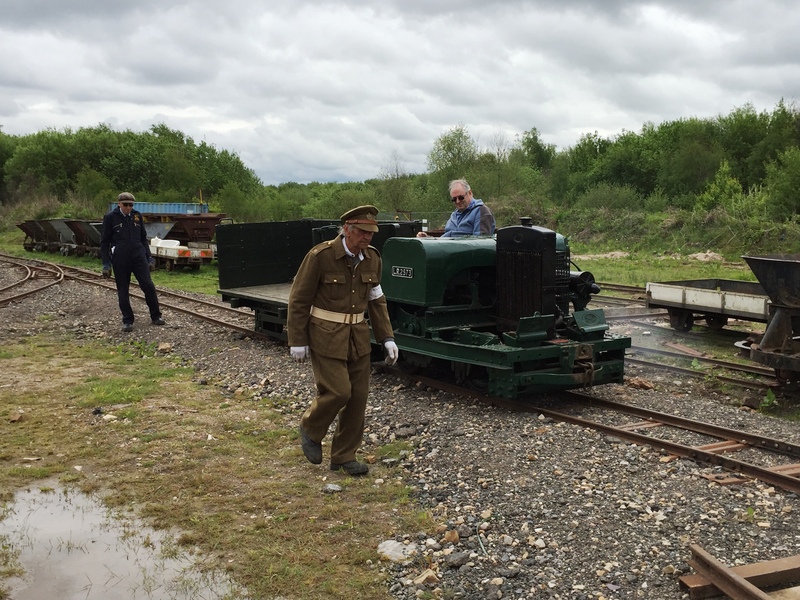 A fully immersive “day in the life” of a First World War Light Railway Operating company steam driver experience day. 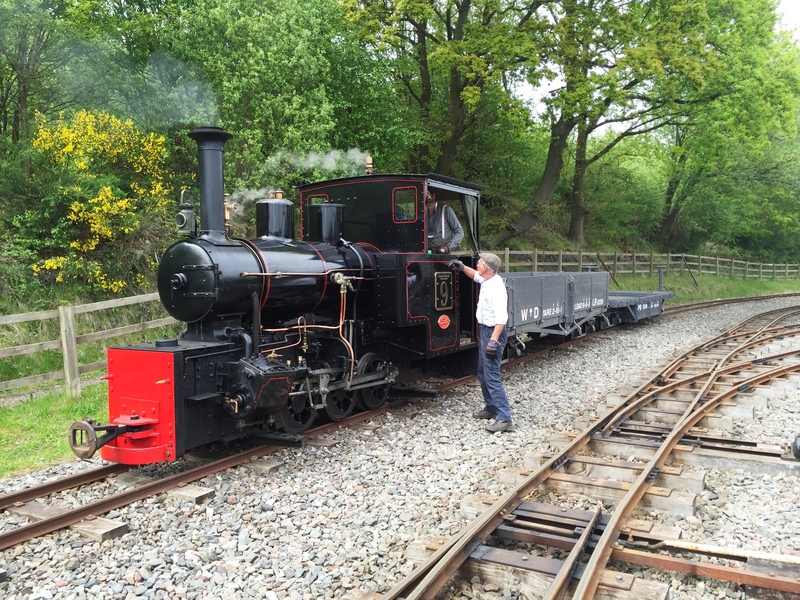 conveniently located at the Apedale Valley Light Railway in Staffordshire (ST5 7LB), this is a fantastic unusual present/Gift for CHRISTMAS, Birthdays, Retirement, Team building activity, or even as a treat for yourself!! 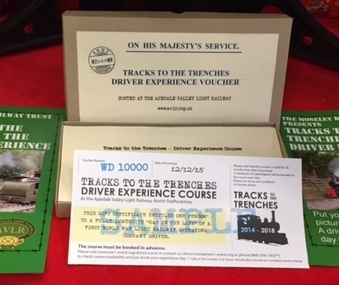 Provided in a presentation gift pack, comprising the voucher and attendance instructions, the lucky recipient is then able to contact the railway and book the experience day from a selection of dates to suit themselves throughout the year. Competitively priced at £350 per person. 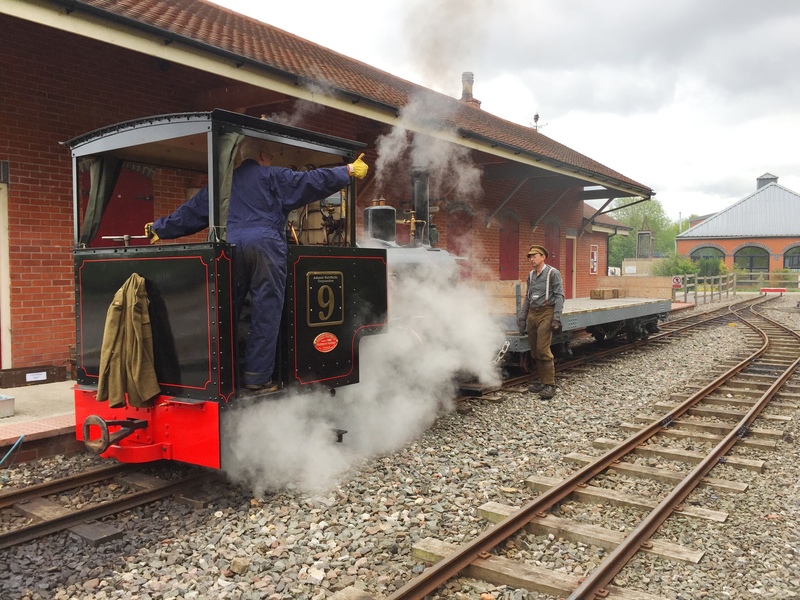 This covers a full day of both steam and antique internal combustion loco driving (a maximum of 2 participants – unless otherwise requested) to complete supply missions, and includes lunch! This is an experience not to be forgotten. 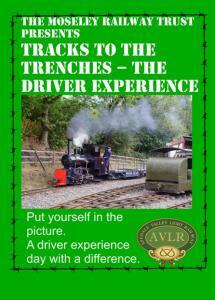 A footplate day course with a real difference. On-line payments can be made by normal Credit/Debit card without a PayPal account (the payment system is provided to us by PayPal). To use a Credit/Debit card, select the “Check out” button (in the shopping cart) – on the next page, in the “Choose a way to pay” section, click the lower option “Pay with a Credit or Debit Card”. Throughout the war the British army used mainline railways to move men, equipment and supplies along all the key lines of communication (from the Channel Ports to the Divisional railheads etc). 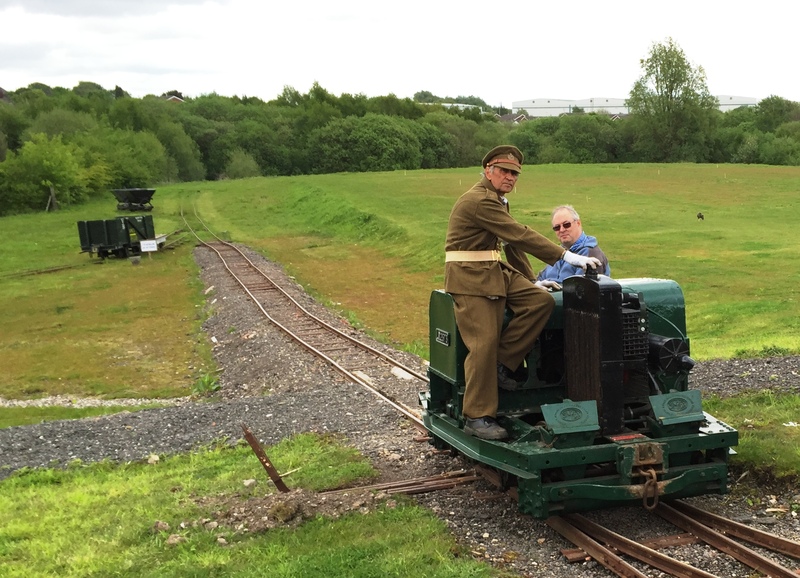 From these railheads, great reliance was initially placed on horses and lorries to forward supplies to the front lines. 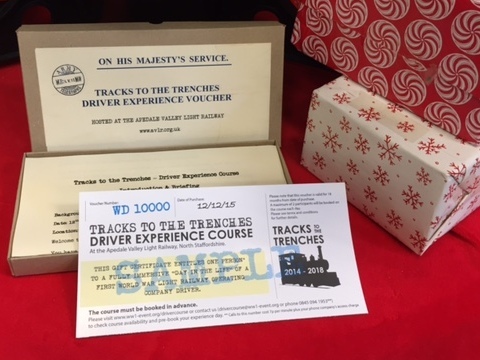 When the war became static, millions of men were driven into the Trenches and needed to be kept supplied despite roads deteriorating at an alarming rate and petrol being in short supply. 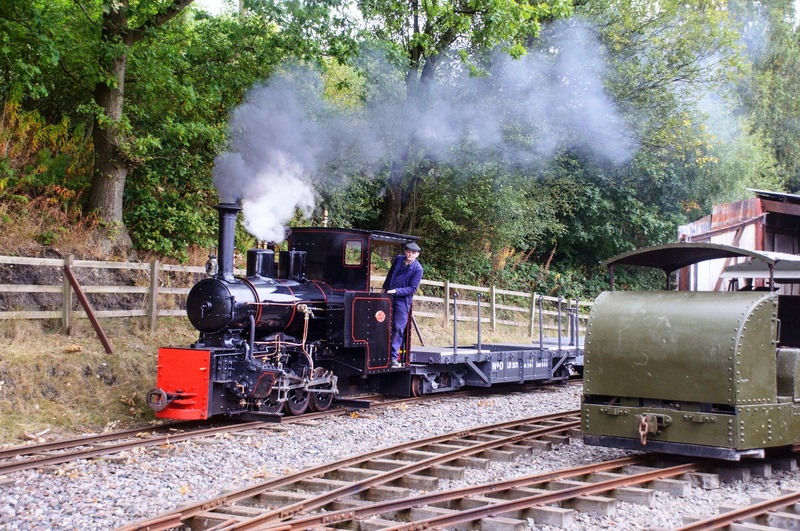 To support the Trenches and fixed positions, 60cm gauge light railways were officially adopted by the British Military from early 1916. 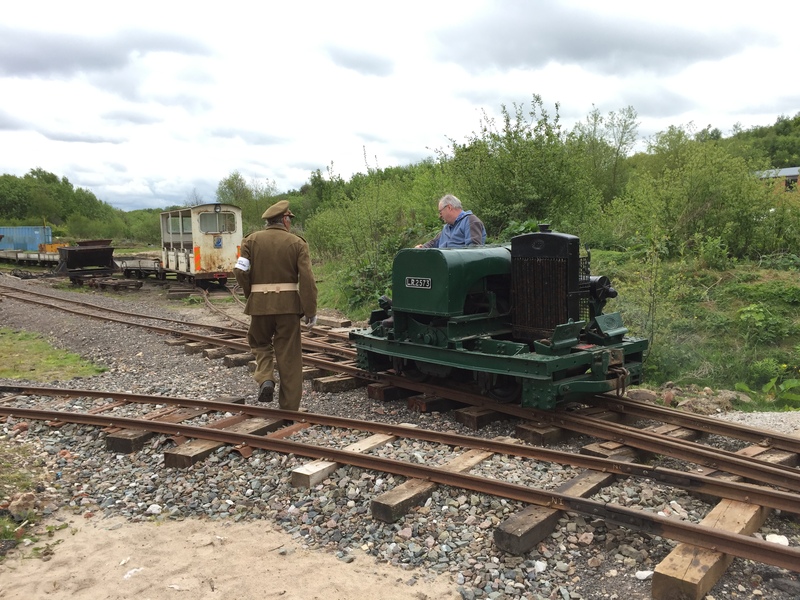 The formation of the Royal Engineers (RE) Light Railway Companies in early 1917 was an innovation that contributed towards transforming the operational ability of the armies. Goods and men could now make the last leg of the journey to the front by light rail. Traffic (and the resulting deterioration) on the roads and mule tracks leading up to the front was eased, and fewer men were required to repair them. 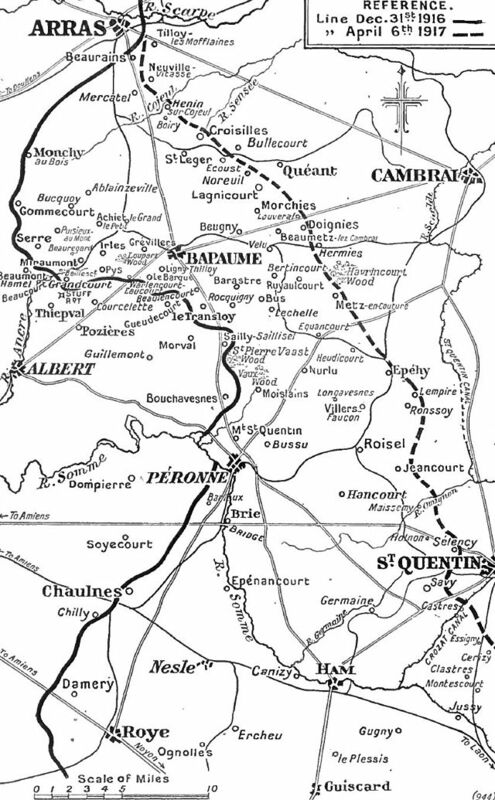 Following the German withdrawal to the “Hindenberg Line” in spring 1917, the British 5th Army (located south of Arras) pushed forward and consolidated their position in the devastated area in and around Bapaume. As part of this continuing consolidation there was a rapid expansion of the light railway network in the area over the following months. The 6th Light Railway Operating Company (L. R. O. Coy) arrived in Bapaume on 9th November 1917. 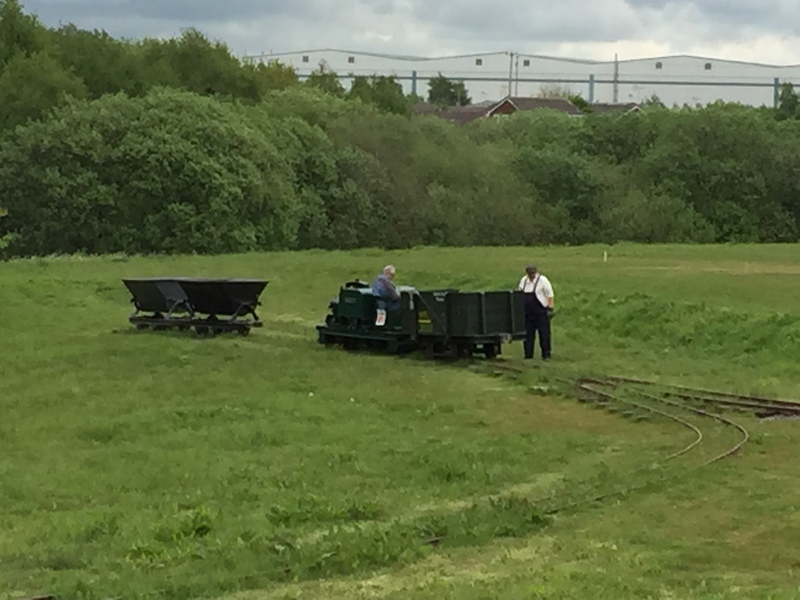 Their role was to man the light railways in the area and continue to keep all troops and positions well supplied. 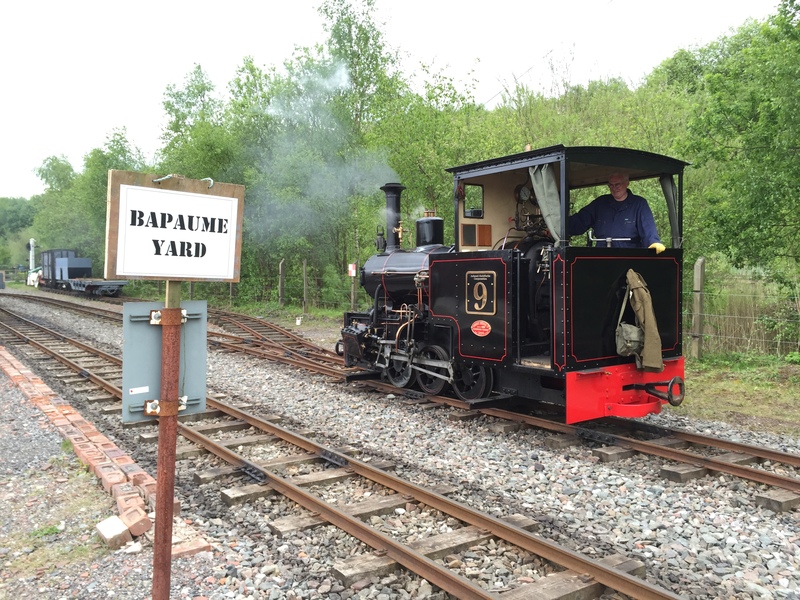 ve just arrived in Bapaume and have reported for the days duties at the Company’s HQ. The Traffic Orders are communicated to you throughout the day, in the form of telegraphs. 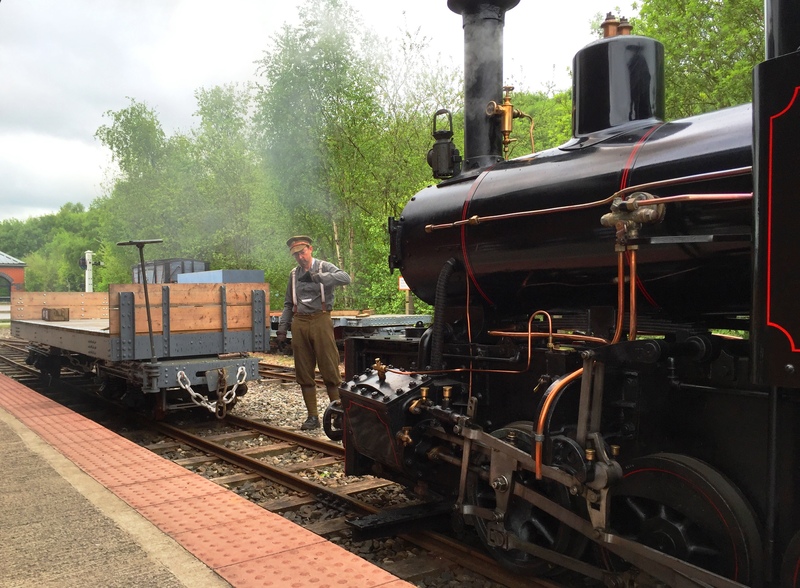 It is your responsibility (with the help of our locomotive crews) to shunt and operate the trains to complete the assigned tasks. Each of these tasks is worth a specified number of ton-miles. Your aim is to complete the highest number of ton-miles possible whilst not contravening any operational restrictions. 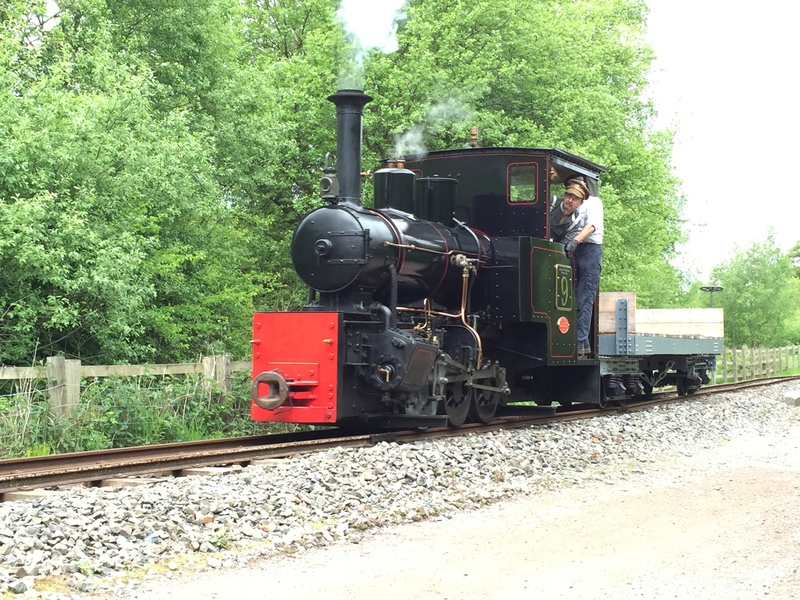 Utilising much of our unique collection of First World War locomotives and rolling stock, during the course of a day drivers will to operate both an internal combustion and steam locomotive over virtually all of our expansive Apedale site. Can you step up to the challenge and have your name mentioned in dispatches? Please click on the brochure (right) for further details.